Davis is famous for having one of the highest person-to-bike ratios in the country. 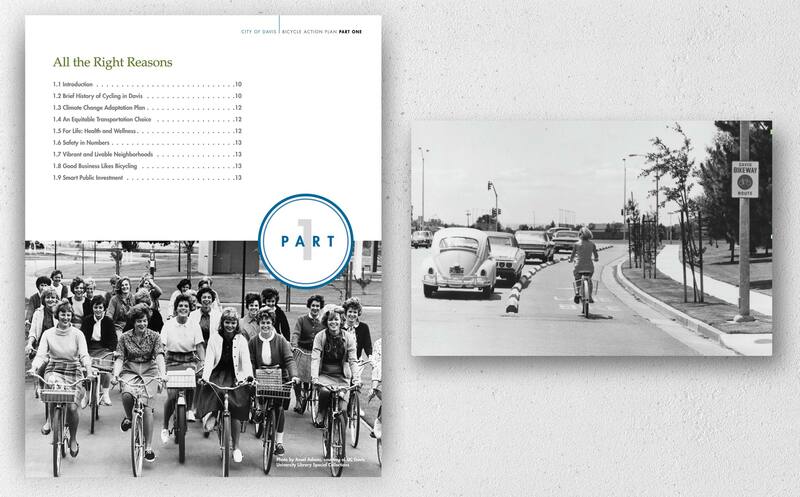 Davis was also the first city to implement bike lanes throughout the community. 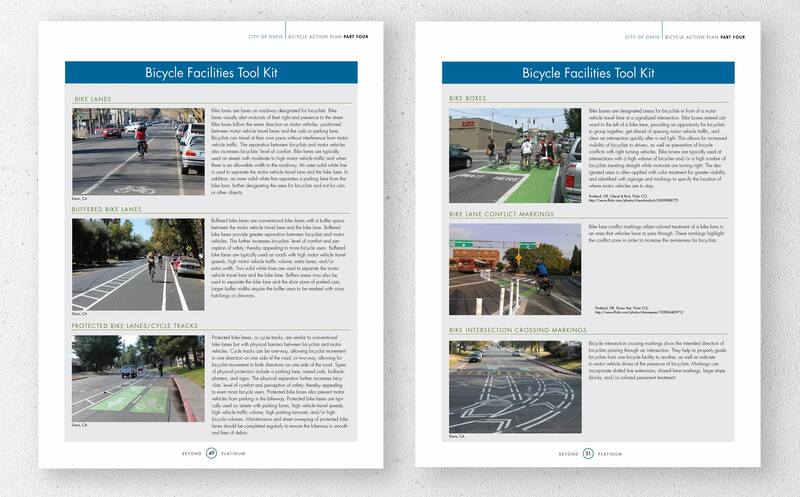 We love living and cycling in Davis, so we were delighted to work with the city to design, produce, and help edit the 83-page Beyond Platinum Bicycle Action Plan Report. The Plan establishes the city’s vision, goals and objectives to achieve long-term emissions reductions and mode share goals. The Plan is an active transportation strategy that focuses on bicycling as the primary mode and also integrates walking and transit.